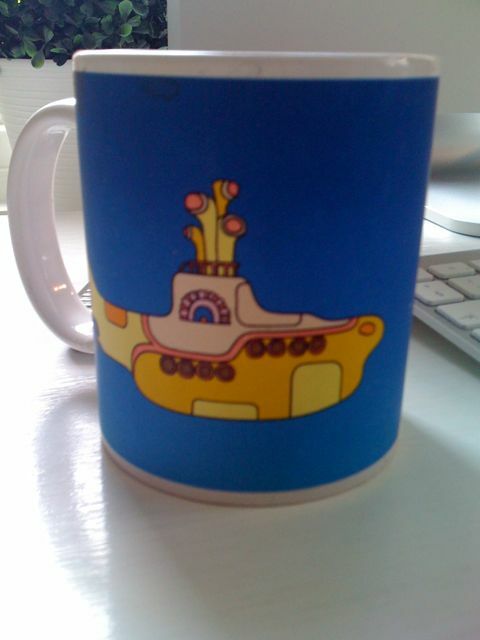 We are livin in a yellow submarine. Findability, and Information Seeking has been given some attention in this good article (Swedish). Many corporations are struggling to cope with the wast information masses inside and outside their business environment. And SKF is one industrial player that has taken a good stab at the beast to become the Knowledge Engineering company. Key take away in all this, is that one shouldn’t take the investments into Information Management and Search specifically as a one off shot. It takes time and effort and endurance to manage and deliver a truely good end-user experience. This is something that all vendors in the search realm underestimates in their promised land whitepapers, regardless of technology at hand. There is no such thing as a free lunch. Information Management runs from top management initiatives/strategies, policies, governance models all through to proper resourcing and timely deliveries from an agile development crew. Tinkering and bricolage will be in the forefront to the make-do of things. And a step by step approach, or rather “technology drifting“, since the learning curve in most corporate settings is, to say the least slow. If organisations put similar amount of money and focus on their unstructured information management themes as they do into ERP and BI investments or more traditional informations systems and their architectural composite we would see more success stories like the one presented here in the SKF case. Google has raised the end-user expectation into search in all domain, which is a good thing, but it stresses the simple fact that one can’t simply copy ‘n paste Googlish search behavior into the internal sphere. Many researcher alike report on failures in the portal, intranet or ECM domain where the end user are crying out loud, “please give us a googlish findability” ? but in this the IM representatives have to step up and communicate the differences in world-views to the beast. This entry was posted on Saturday, February 21st, 2009 at 10:51 am and is filed under information management, knowledge management. You can follow any responses to this entry through the RSS 2.0 feed. You can leave a response, or trackback from your own site.